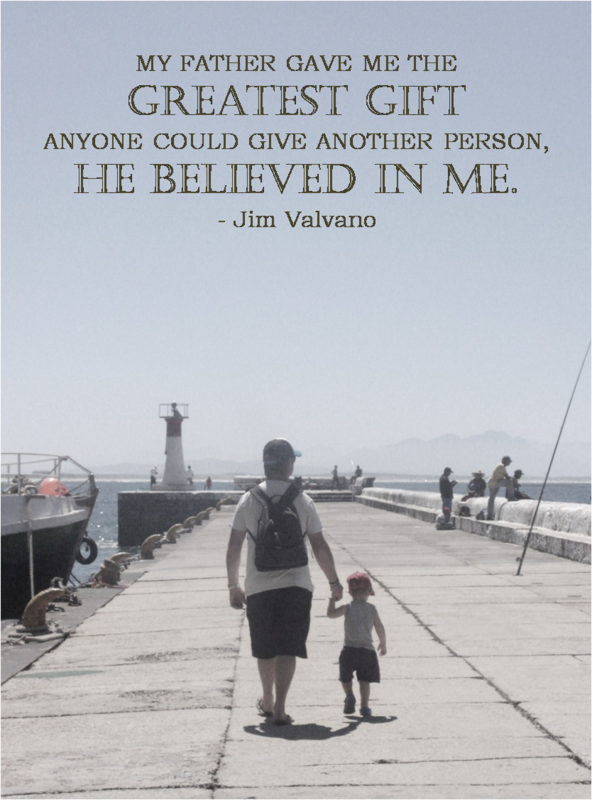 I wanted this week’s Thoughtful Thursday to be really special for our dads. But my hunt for a great “dad” quote did anything but inspire. I ended up finding a bunch of quotes about “duds” – the failure, disappointment and non-existence of dads. There is clearly a crisis when it comes to the relationship between children and their fathers. There are so many good dads out there; I know lots of them! But their good examples seem to be washed out by all the duds. Abusive and absent fathers are too easily regarded as the norm. Fathers are almost expected to fail. How, then, are they supposed to be good fathers when society doesn’t have high expectations for them to live up to? Fathers need to know how important they are so that they can take their role as leader of their home more seriously; and we need to give them the respect they need to do that. Dads need encouragement. They need to know that they are wanted and that their children depend on them. Dads need to know that their actions may decide the fate of their family. There is hope. Fathers around the world are stepping up and taking their role more seriously. They’re not bullying their family or letting their family walk all over them. Instead, they are offering their family love, guidance and encouragement. They are taking authority and responsibility for their family. And in turn, they are respected, loved and trusted. They deserve to be called “Dad”. We hope to keep inspiring people everywhere so we’re glad to hear we’re on the right track.